There is something about having a million things I should be doing that inspires me to bake. It must be the ultimate form of procrastination – procrastibaking. Even though it’s the last thing I should be doing, it serves the purpose of sorting out my snack needs for the rest of the week (or so I justify it to myself). As I head towards my final year of Nutritional Medicine, the pressure and workload is ever-increasing, but my passion for health deepens. There isn’t a day that goes past now where I don’t have a least one ‘aha’ moment. The links between our diet, lifestyle, stress levels, emotional wellbeing and even spiritual awareness have become increasingly more apparent to me. I finally feel like the smaller pieces of a larger puzzle are starting to coming together. The more I learn the deeper my drive becomes to find to the root cause of chronic health conditions of my own and those around me. Recipe creation has been an integral part of my journey with nutrition. I see it as a practical way of channelling my passion and learning into something tangible. I want to show you that healthy eating is fun, colourful, delicious, creative and satisfying! The way you eat is one part of a broader picture of health, however by setting up healthy, sustainable habits in the kitchen the flow on effect into other areas of your life can be enormous. So, in the spirit of procrastibaking, I’ve created these Pumpkin Pie Muffins. They are the most delicious treats that let you sneak an extra serve of veggies into your day. Topped with a tangy cashew-lemon icing (which reminds me a little of the delicious icing normally used on carrot cake) and sprinkled with a pumpkin pie spiced pecan crumble, these are the perfect sweet craving stopper. Packed with complex carbohydrates and healthy fats from nuts these muffins will keep you going all afternoon. Have you signed up for my exclusive Nutrition Bite Sized community yet? 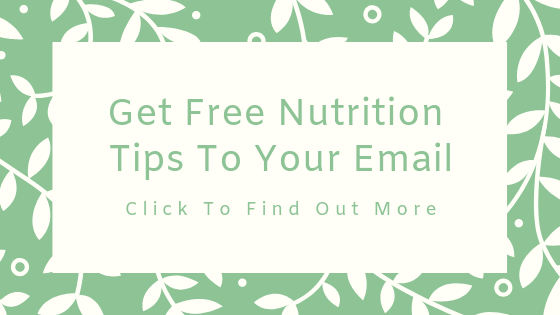 Join here for super short, weekly newsletters which give one new, scientific evidence-based fact about health and nutrition plus how you can simply implement this tip into your life today. Takes 60 min , makes 10 muffins.